As promised, this week will feature Part Two of our “How To Create Big Vape Clouds” series. Which is only two parts, so probably not a series. We’ll go with sequel. The sequel to last week’s blog post. 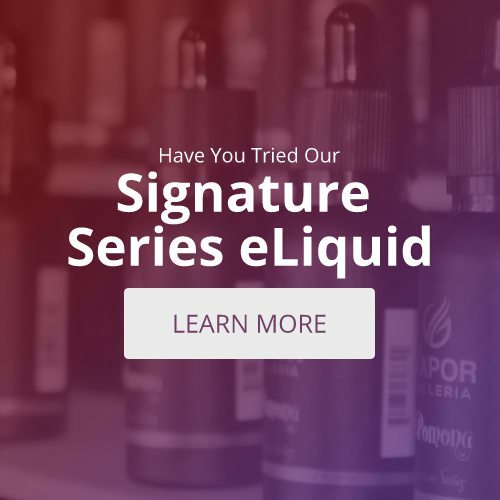 Last week, we talked about how modifying your devices vapor production can aid in the creation of storm-worthy vape clouds. This week, we’ll be focusing on the other side of the coin: technique. Because let’s face it, you could be using every hack and trick in the book but if your technique is poor—well, you’ll have to satisfy yourself with wisps as opposed to clouds. The perfect technique for those awe-inducing fluffy clouds involves a combination of inhaling, exhaling, and posture. Yeah, that’s right, all that slouching and hunching we’ve all adopted via looking down at our smartphones can inhibit big vape clouds. Don’t strain yourself and turn blue or anything, but get as much air out as you can. If you bend forward while exhaling, the abdominal compression can help push out remaining air. 2. Without inhaling, blow any remaining air into the vape device. 3. Now, inhale as long and hard as you can. Straighten your back as you inhale to open your lungs, allowing more vapor to be inhaled. By pushing out the jaw, you’re opening up throat space, which allows the vapor to escape easier. Nothing beats practice. When you do this it’ll shoot out a strong shot of air that causes the released vapor to expand into a large fluffy cloud. That’s it. You have the tools and the knowledge, all you need is the time to practice and you’ll be on your way to puffing colossal vape clouds.